Laurelhurst Craftsman Bungalow: Craigslist Rocks!! The furniture I bought last week just had a queen-size bed frame. 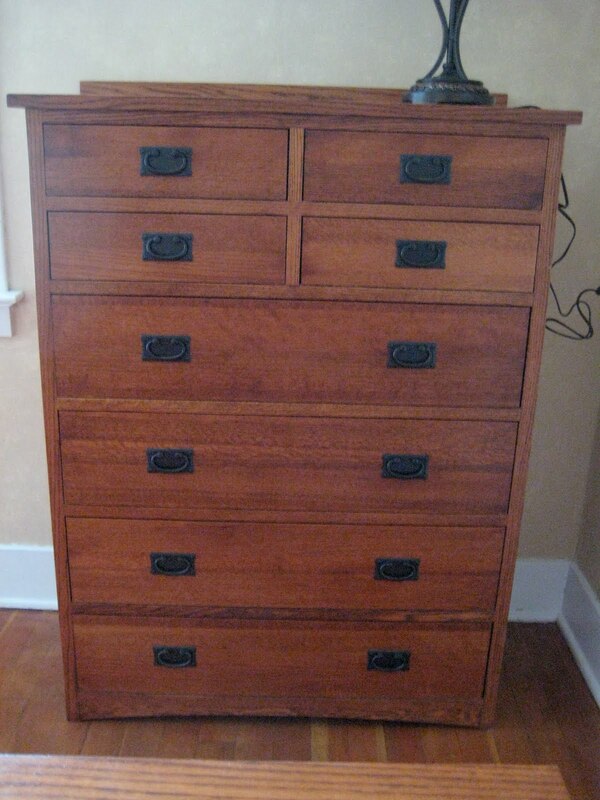 I thought the guy selling the furniture would break down and sell me his 10-drawer chest, but I guess he just liked it too well and couldn't part with it. 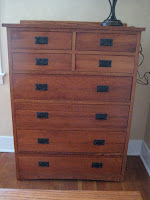 Anyway, on craigslist, I think I found a matching 8-Drawer Chest and an armoire (from different sellers). Though the armoire is currently used as an entertainment center, it sounds like it's pretty easy to convert it to a small closet which would be perfect for the basement bedroom. 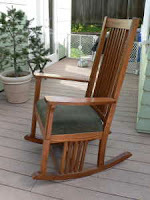 I also found a rocking chair (from a third seller)! Unfortunately, all three of these items are in the Oakland/Berkeley area. Ugh, that's about an hour of driving each way. And though any one piece would fit in our SUV, it's not worth making three trips! So, back to dragging a trailer we go! I'm so grateful we managed to get that trailer hitch put on the Toyota last week. Looks like some great finds! I'm addicted to Craigslist these days too.